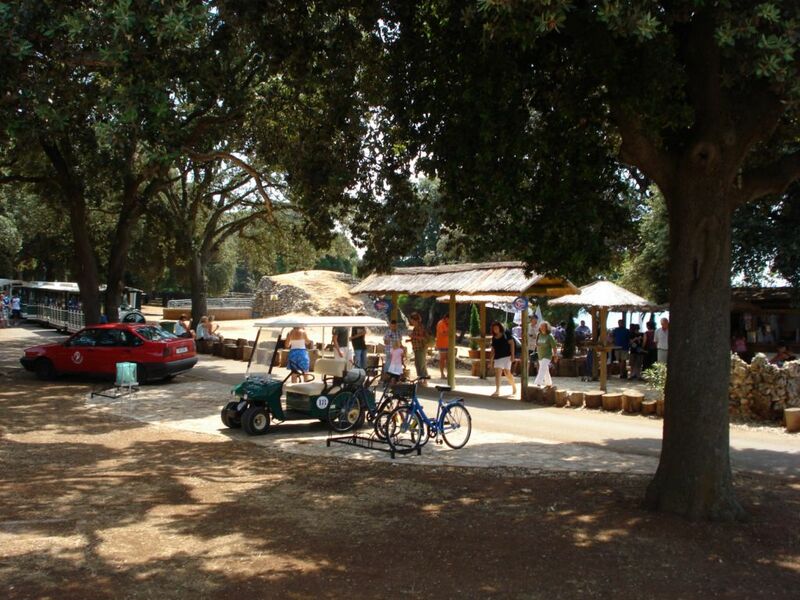 One of the most popular day trip destinations on the Istrian peninsula is the national park Brijuni. The national park is situated on the Brijuni Islands by the small village Fazana. 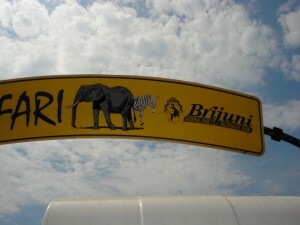 Before becoming a national park, the Brijuni islands served as summer residency for the former Croatian president Tito. In this period a Zoo and a Safari Park was built on the island, the Safari park today mainly have domestic animals, the Zoo is currently empty. The only official connection to the National park is from the village Fazana, from where there is a boat connection to the main island Veli Brijuni, the boat departure times you can see here. Some of the departures include a guided tour on the island, which have to be pre-booked some days ahead (See contact details below). If you choose to explore the Islands on your own hand, the facilities like the island train to safari park are of course included in the entrance ticket. With Car, from Rovinj centre there is about 30 km to Fazana, driving time is about 30 minutes, once you arrive to Fazana, you just continue to the centre of town, where you find parking (paid) close to the waterside, from the parking lot, there is just a few hundred meters walk to where the boat leaves from Fazana. The ticket office is less than 100 meter from the pier. With bus, travelling with bus from Rovinj to Fazana is currently not an option to consider, there might be some local bus running during summer, so ask at the local tourist office once your are in Rovinj. Organized daytrip, if you don’t want to hassle with transportation your selves, you have the option to join an organized day trip from Rovinj, ask at a local travel agency regarding excursions to national park Brijuni. 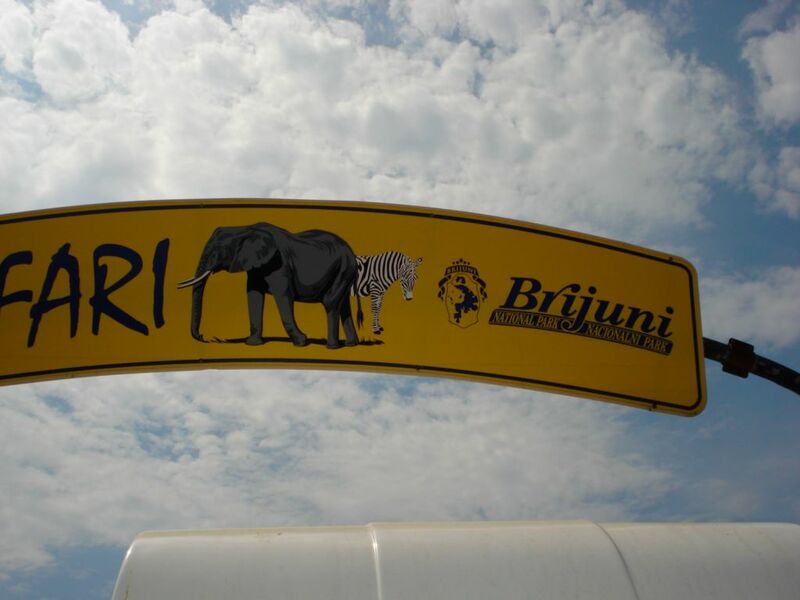 As mention about some of the daily departures to the National park on Veli Brijuni include a guide, additional you have some special tours other parts of the Brijuni islands, ask the park administration about current tours available.